My creative juices have been running very low lately with most of my brain power going toward bookkeeping audit work (which is most thankfully, almost done) so I thought I would take a photographic inventory of my quilting works in progress to jump start my plan to finish these up before the summer ends. Fat Quarter Shop 2010 Designer Mystery BOM - seven blocks completed, five to go. Sliced Coins Quilt Along with Elizabeth from Don't Call Me Betsy. Needs backing, binding and quilting. School Yard made from Square One pattern in Camille Roskelly's Simplify Have backing and binding, needs to be basted, quilted and bound. Italian Sorbetto made with the Block -a- palooza Quilt Along. Needs backing, binding and to be basted, quilted and bound. Supernova Quilt Along from Lee From Freshly Pieced. Five blocks completed, one in progress with three more to go. My favorite of the whole lot...got to get this one done. Summer Sampler Series hosted by Faith, Katie and Lee. 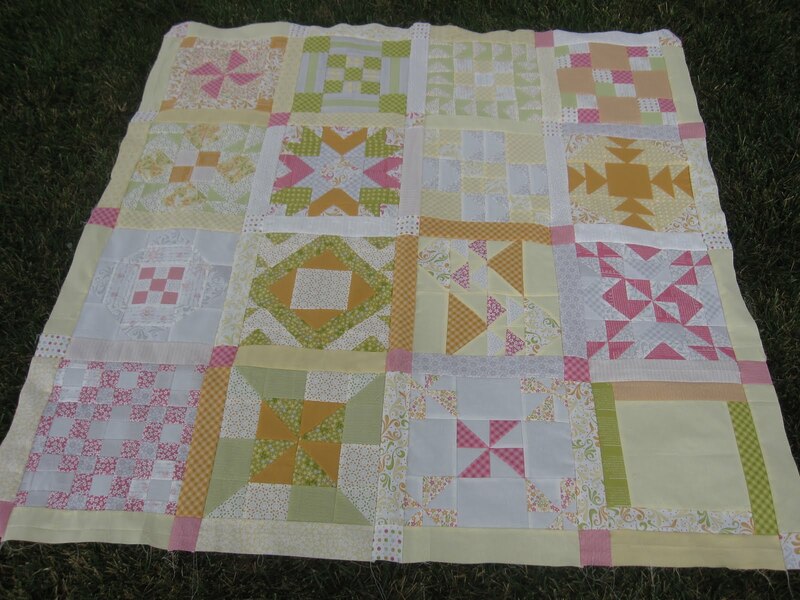 Finished Block 4 yesterday morning and am so happy with the results. 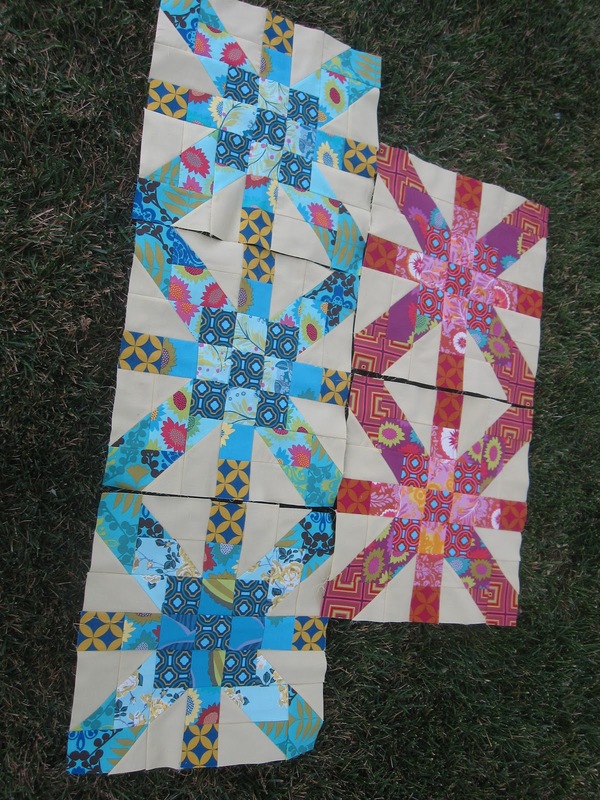 Katie had suggested that we cut our fabric into 3 inch blocks and then once we pieced the HST's, cut them down to 2.5 inch blocks. 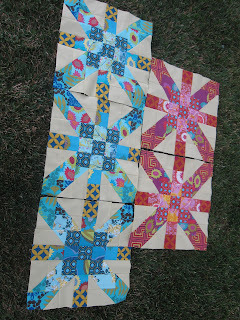 That method worked well for me as this block came out almost perfect - a first for me! Off to do some obvious quilt back/binding shopping, a wonderful lunch date and an evening spent sewing away while my people are off playing soccer and sailing. 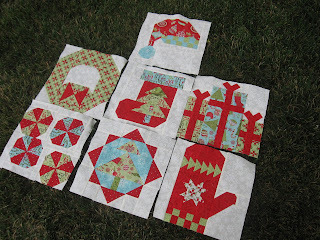 Go see what other's have on their WIP's list for this week with Lee at Freshly Pieced. 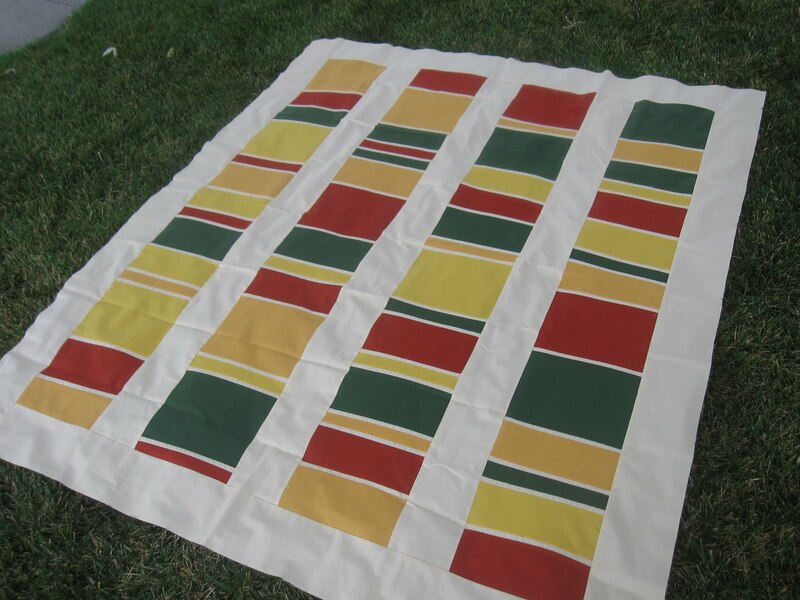 I really like your school yard quilt! The colors are beautiful! OH, I love your Schoolyard!!! Something about it is just so very perfect. Your summer sample blue is gorgeous, too. Wow, how busy are you? Love the schoolyard! 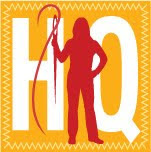 I haven't seen that Christmas quiltalong. Cute blocks! You've got a lot of nice projects going on! LOVE your supernova - you really do need to finish that one! Hi! All your works are so beautiful! How great to see some Christmas things to get inspiration to start them early enough! 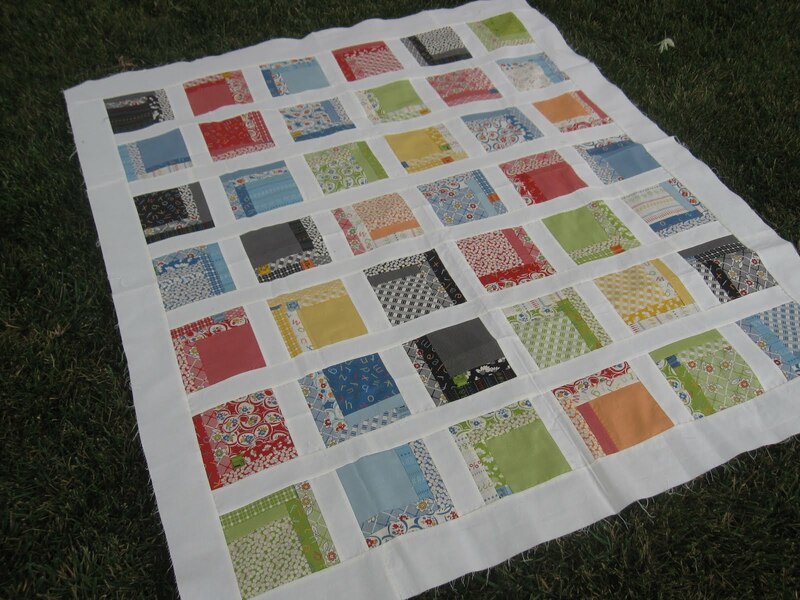 Now I like most the School Yard quilt and Supernova is also very special! Love that supernova too! You've got a lot going on! Enjoy the end of summer! Good on you Susan. I'm turning in two UFOs in August. This has been a great challenge. 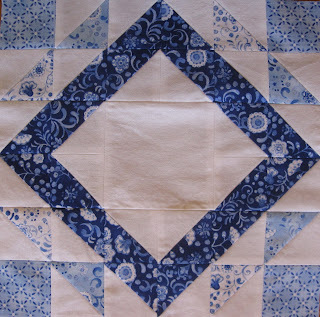 I really like your blue and white Summer Sampler Series block.